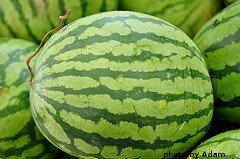 Watermelon Varieties - What's the Difference? 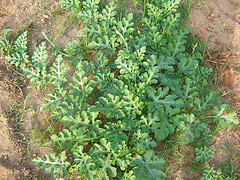 There are several watermelon varieties available to the backyard vegetable gardener. Some varieties are seedless. others have orange or yellow flesh, instead of red. Some varieties are small, while others can grow to more than 200 pounds. There's even a variety that has speckled skin that resembles the moon and stars in the night sky. 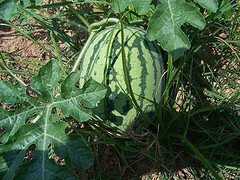 Here's a list of some more common watermelon varieties, along with fruit and plant descriptions.